Objective: To investigate the phenotype-genotype correlation in different genetic kinds of Bartter syndrome type 3 in children. Methods: Clinical and genetic data of 2 patients with different mutations in Bartter syndrome type 3 was analyzed while the prognosis was compared after a 6-year follow-up or 2-year follow-up, respectively. 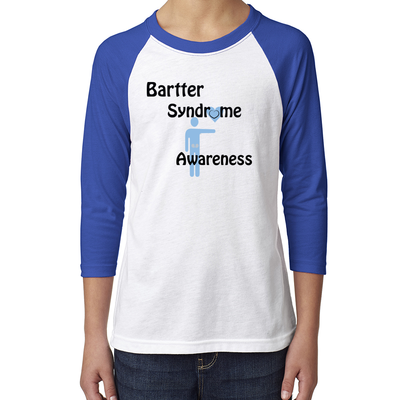 Results: Bartter syndrome is a kind of autosomal recessive inherited renal disorder. The manifestation and prognosis of Bartter syndrome change with mutation types, and severe mutation were often accompanied with unfavorable prognosis. Comprehensive therapy with ibuprofen, antisterone, captopril, and potassium have remarkable effect, while ibuprofen may improve growth retardation partly. Conclusion: Bartter syndrome should be considered when children have unreasonable continuous electrolyte disturbance, metabolic alkalosis and growth retardation.As a genetic disease, its clinical features depend on the mutation type. It can be ameliorated by electrolyte supplementation, prostaglandin synthetase inhibitors, angiotensin-converting enzyme inhibitors and potassium-sparing diuretic. Considering the following electrolyte disturbances, infections, growth retardation, kidney failure and even death, Bartter syndrome need lifelong treatment, early diagnosis and treatment is the most important. In a patient with Bartter's syndrome (increased plasma renin, juxtaglomerular-cell hyperplasia, hyperaldosteronism and hypokalemia, but no hypertension), aldosterone excretion and secretion were increased only moderately despite marked elevation of plasma renin, presumably because of suppression of aldosterone production by hypokalemia. When the serum potassium was raised by administration of potassium chloride and spironolactone, while normal sodium balance was maintained, aldosterone excretion rose markedly. Infusion of albumin decreased plasma renin and aldosterone secretion, and restored normal sensitivity to the pressor effect of exogenous angiotensin. Suppression of aldosterone production to normal limits by administration of albumin, amino-glutethimide or dexamethasone failed to correct the hypokalemia, indicating that some factor other than hyperaldosteronism may contribute to urinary potassium wastage in this syndrome. 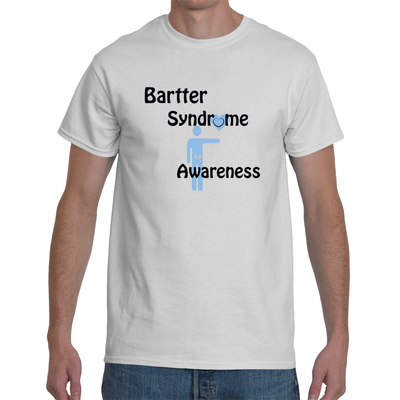 This study and others raise the possibility that in some patients with Bartter's syndrome the primary defect is impairment of proximal sodium reabsorption. MOST parents dream of a 5-week-old baby who sleeps through the night, but Aga Warnell knew something was wrong. Her baby, Nina, just wasn't hungry in the way her other daughters had been. Within weeks, Nina became very ill, says her father, Graeme. She was admitted to hospital with a rotavirus infection. Then she picked up pneumonia. It turned out Nina had a condition called severe combined immunodeficiency (SCID). She had been born without an immune system due to a genetic defect. It is also known as "bubble boy" disease, since people affected have to live in a sterile environment. "The doctors said 'you need to prepare yourself for the fact that Nina probably isn't going to survive'," says Graeme. Gene therapy emerged 15 yr ago with great expectations for a marriage between the remarkable advances in molecular biology of the previous decade and clinical medicine. It was originally an innovative treatment for incurable diseases, so-called genetic disorders, in which the disease was caused by mutation, truncation, or complete loss of a single gene. In 1990, the first successful gene therapy was performed on two girls with adenosine deaminase (ADA) deficiency, which causes severe immunodeficiency (1). The number of peripheral lymphocytes increased by repeated injection of lymphocytes carrying the exogenous ADA gene, and the girls’ health stabilized to the point that they were able to attend school. Soon after, however, the investigators realized that the success of the gene therapy for ADA deficiency is a rare exception because most of the monogenic disorders cannot be treated simply by unlimited overexpression of the deficient gene. In addition, some of the monogenic diseases cannot be treated with available vectors because the genes are much larger than the size of the gene cassette of the vectors. 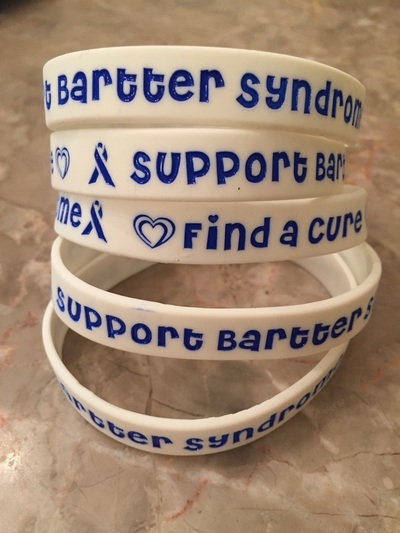 Bartter syndrome and Gitelman syndrome are characterized by fluid, electrolyte, urinary, and hormonal abnormalities, including renal K, Na, Cl, and H wasting; hypokalemia; hyperreninemia and hyperaldosteronism without hypertension; and metabolic alkalosis. Findings include electrolyte, growth, and sometimes neuromuscular abnormalities. Diagnosis is assisted by urine electrolyte measurements and hormone assays but is typically a diagnosis of exclusion. Treatment consists of NSAIDs, K-sparing diuretics, low-dose ACE inhibitors, and electrolyte replacement. Most children love animals. The joy in an child’s face at the sight of a dog, a cat, or a guinea pig is something all parents love to behold. It’s also something scientists say can be an especially good thing for children who suffer with anxiety disorders or depression. Whether they participate in special animal-assisted therapy, or their families simply open their homes up to a pet, this human-animal bond has many benefits. Seoul Korea, Tues., February 20, 2011 – A sequence analysis of the BSND gene showed that the affected males were homozygous for a missense G47R mutation in exon 1 of BSND. These findings suggest that the G47R mutation results in a dramatic decrease in barttin expression, which appears to be related to the location of ClC-K being changed from the basement membrane to the cytoplasm in the tubule an migh thave varying effects on the renal function associated with factors other than this gene. Bethesda, MD, Tues., December 6, 2011 – A new funding plan by the National Human Genome Research institute (NHGRI) sharpens the focus of its flagship Genome Sequencing Program on medical applications. In addition to on-going studies, the four-year, $416 million plan launched new efforts to find causes of rare inherited diseases and accelerate the use of the genome sequence information in the medical care of patients.